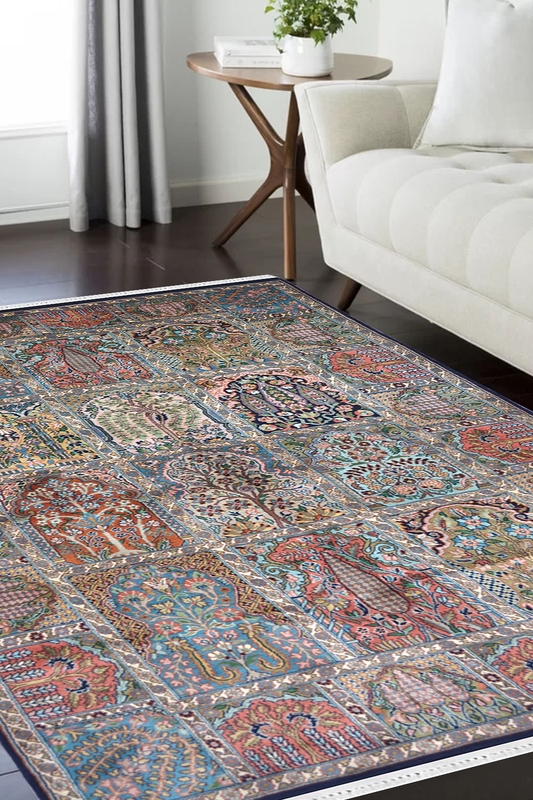 Decorate your home with one of a kind hamadan handmade carpet which have an intricate design pattern. It has taken 5-7 months to weave. This magnificent carpet is ideal for the living room and bed rooom. - This stylish multi-colour carpet is just the thing you need to give a perfect finish to your decor. - This design is Hamadan which has been originated from Hamadan city many years ago. - Number of Knots in this rug is 576 knots per square inch. - This is 100% hand washable carpet.